In our personal and professional lives we tout the importance of honesty, authenticity, freedom of speech, and respect. Admirable qualities! No one likes criticism. We can say that most people don’t know how to deliver criticism well – also true. Yet, we can’t leave it to everyone else to manage what is best for us. We need to learn to process feedback and criticism in a constructive manner, regardless of delivery. We cannot externalize our issues for our own comfort, or we will not grow. People are too sensitive. People are too scared to speak up. We are too uncomfortable being uncomfortable. Our greatest disservice to ourselves. Recently, I have done my best to change this. I try to be relentlessly authentic. Being authentic can be rude and crude. It can be constructive too, though. In corporate America, I understand the issues with this. That’s one reason I love the entrepreneur lifestyle. As an entrepreneur, you can be much more critical of others, without having to hold back. That makes ‘treps powerful. I don’t want to hear what you think I want to hear. Tell me the truth, then we can grow. Feedback is one of the most important factors in personal and professional settings. Looking at both in the B-school lens, the Product Life Cycle Stages, we can see how it can help. 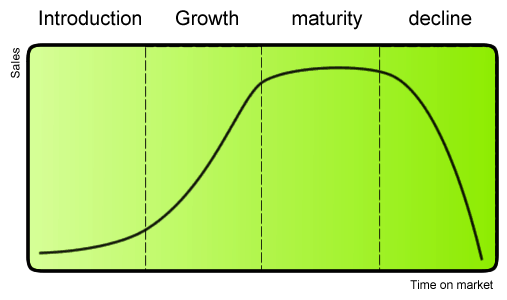 The life cycles are: Introduction, Growth, Maturity, and Decline. With anything new to us, we are innocently ignorant. Whether a sport, hobby or job, experience and practice navigates us to new levels of achievement. We need feedback to understand our inaccuracies, misunderstandings, and flat-out mistakes. In the introduction stage, without a coach or mentor, we struggle to know of our errors. We need a third-party with the experience and wisdom to guide us. That is the power of mentors and coaches – feedback. In this stage, the foundation is set. Now, we are experiencing a basic awareness and rapid growth. As our mastery builds, so does our need for a stabilizing force. It is in such growth stages that confidence may be our biggest enemy. Constructive feedback directs course to stay aligned and make the minor adjustments as we need to. Without feedback to aid us, we are unaware of the needed changes. It takes longer to know of these needs, and the alterations become major. Major changes in a growth stage lead off track – and not in the good, innovative way. At this stage, benefits begin to plateau. Here, feedback helps us make decisions. What is our next step? Do we try to continue in our current path, take route X, or take route Y? Feedback from anyone can be beneficial, regardless of their experience and insight. Your job is to understand their position. If you are able to determine why they are giving you the advice, or feedback, you can decide how valid it is for your situation. Thus, the alchemist of many individuals’ feedback conquers he who chooses one source. Finally, all products, whether of your business or a product of your own growth, declines. Sometimes we can predict when this will happen, but often we will not. Feedback helps further as a guiding force to manage the decline. Finding balance between the decline and your new experiences (based on which route you chose) promotes lifelong growth. Feedback is vital, yet we have significant difficulty providing it and learning from it. We are so scared of hurting each others’ feelings that we opt to give safe, kind, yet inauthentic feedback. Our culture has caused anxiety around criticism. It isn’t the fault of individuals or parents, but the environment we live in. It is dangerous.